I’m always game for a good hunt. Give me a challenge, and I’m all over it. It’s a gene that runs through the Densmore family for sure. My mom can walk into Dillard’s and find the most amazing items on the sales racks. She will pull out one gem after another, when most people only find junk. And my Aunt Debbie takes hunting to a whole new level. I can literally give her two words, like “blue vase,” and she can run down a list of places that have the perfect item for my home. I’m constantly amazed at Debbie’s unique finds (and don’t get me started on her art of return … which is another post for sure!). Now, those are just two examples, but my Aunt Sherry, cousin Ashley and sister Stephanie also have this hunting gene. Us gals can find just about anything you are looking for. And that’s why I’m having such a hard time admitting our first hunting flop, and it starts with a vintage milk bottle. During the holidays, my mom mentioned that my grandmother was looking for a vintage milk bottle from Greenville Diary from Greenville, IL. It seems that my great grandfather worked at the dairy, and my grandma has been searching for a bottle for years. Her and her sister have even ventured back to Greenville, IL to look for a bottle at antique shops with no luck. 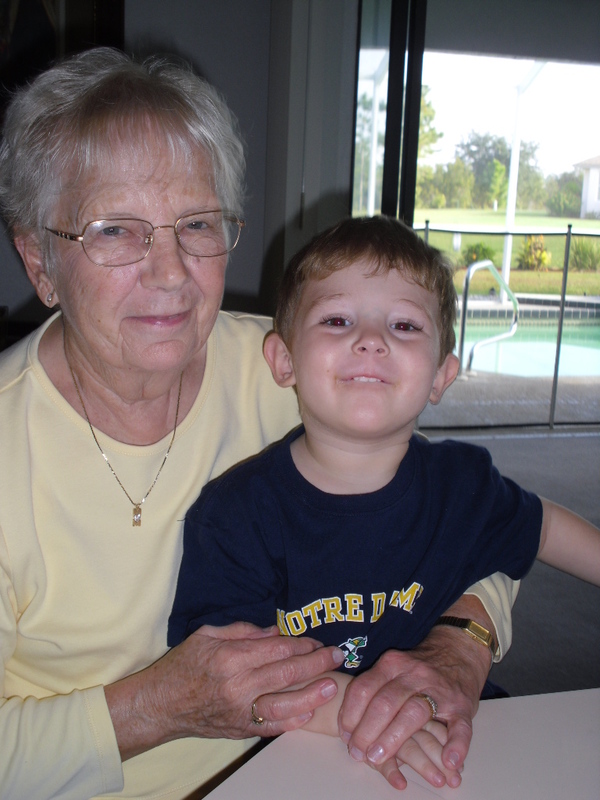 This is my grandma who on the hunt for the bottle! So, with that conversation, I put the wheels in motion. 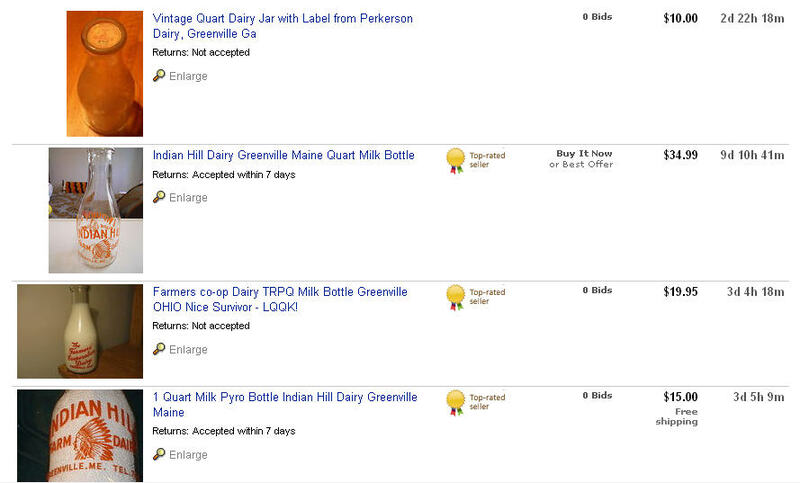 I signed up for alerts on eBay for “Greenville Dairy.” I started searching the web looking for anything about Greenville, but you would not believe how many cities there are named “Greenville.” There is one in Ohio, one in the Carolinas, another in Maine and so on. Well, I’m looking just for the one from Illinois, so the search continued. Some of the bottles I found on eBay, but none from IL. I started calling antique shops, and I thought I may have tracked one down. Unfortunately, a dairy farmer I was referred to has been looking for the same bottle for years, too! Dang it … another dead end! So, the search continues and now I’m taking it to the blogosphere. Who can help me find this bottle?? Please forward this post on to anyone and everyone you think might be able to help me track it down. I’ll offer a $50 reward for anyone who gets me to the bottle I’m looking for. And that’s life in a nutshell … I’m on the hunt and I need my awesome blog followers to help me discover this bottle. Happy Hunting! Good idea, Tammy. I’ll tell my mom about it. I thought about running an ad in the paper in Greenville, IL as well, but I thought I would try my blogging fans first! Thank you so much for your comment. I just chatted with my Aunt Debbie about you. Sounds like you guys had a lot of fun together when you were younger!! Thank you for looking for the milk bottle. I’m just dying to find one for my grandma. What is the shop in Ft. Myers? I would love to visit it. My parents live down the way now. Mindy – Let me know when you’re ready for a road trip… I’m in to drive to Ft. Myers! Love it that my friends are jumping on this quest of yours too! Go to this website and look through the garage pictures. Find the shelf with the bottles and tell me if this is what you are looking for.